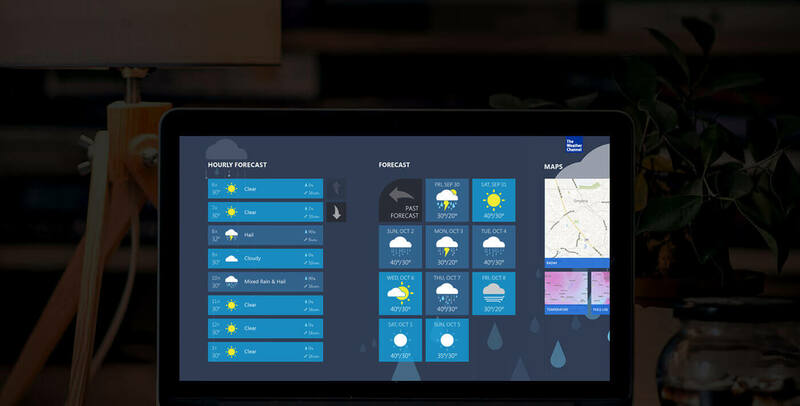 Every single day, people of the world, from casual weather checkers to weather enthusiasts, depend on The Weather Channel to make plans for the day and the rest of the week. 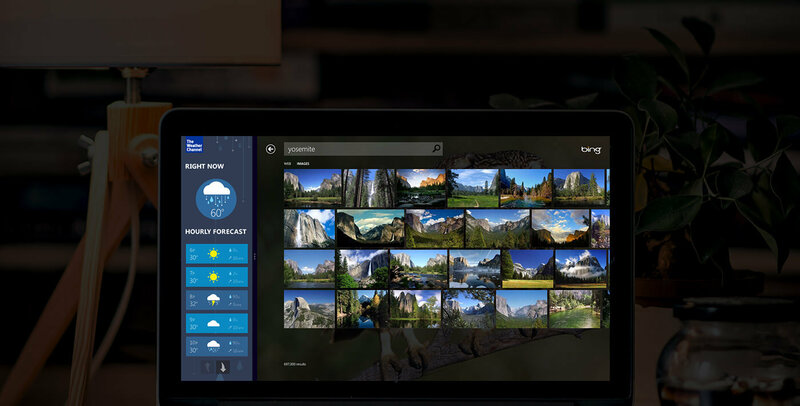 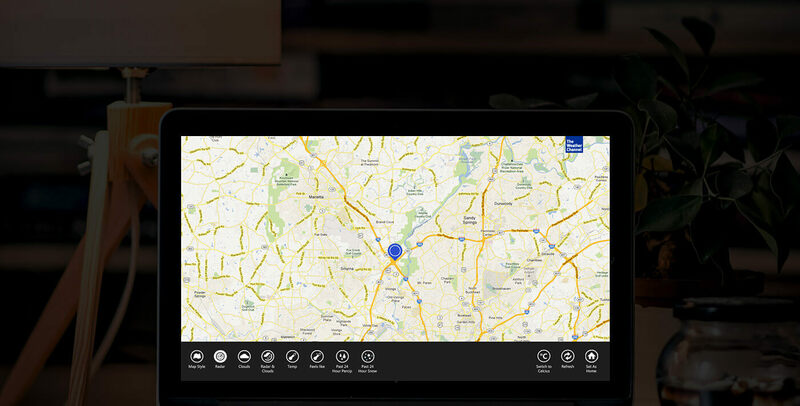 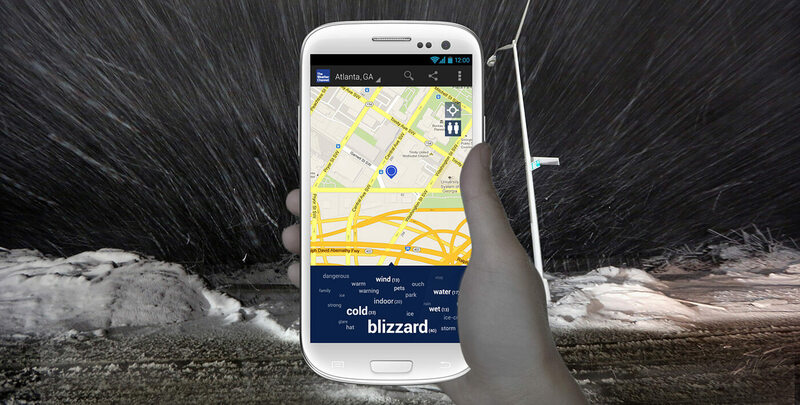 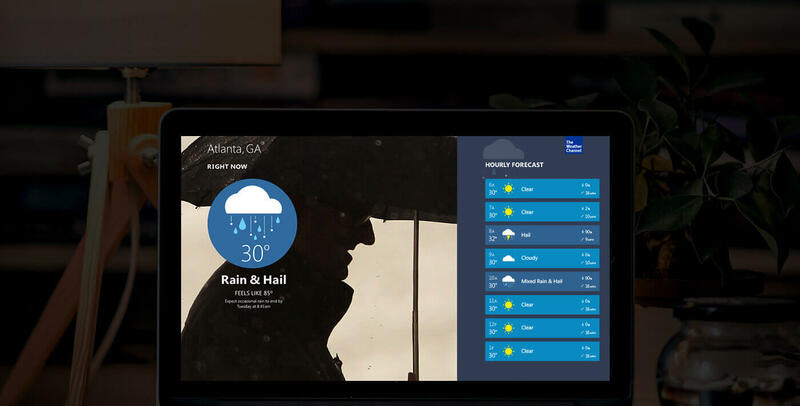 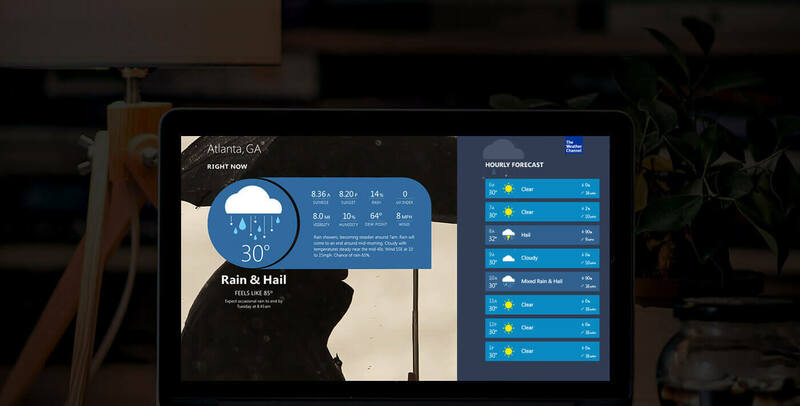 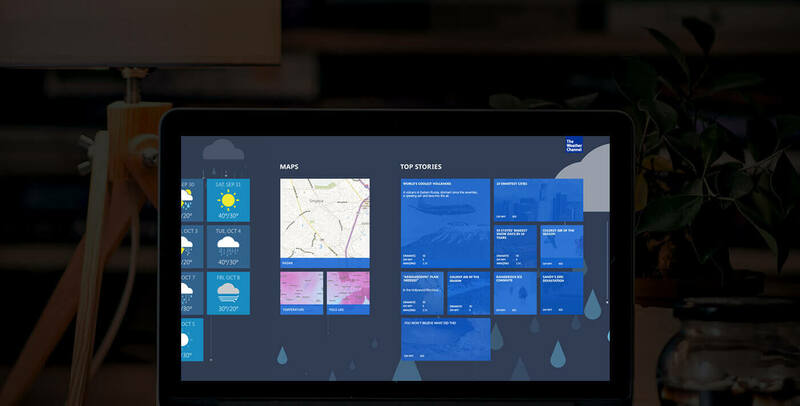 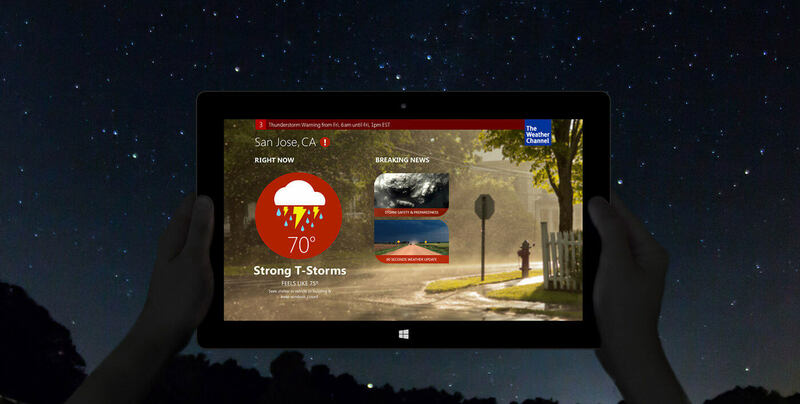 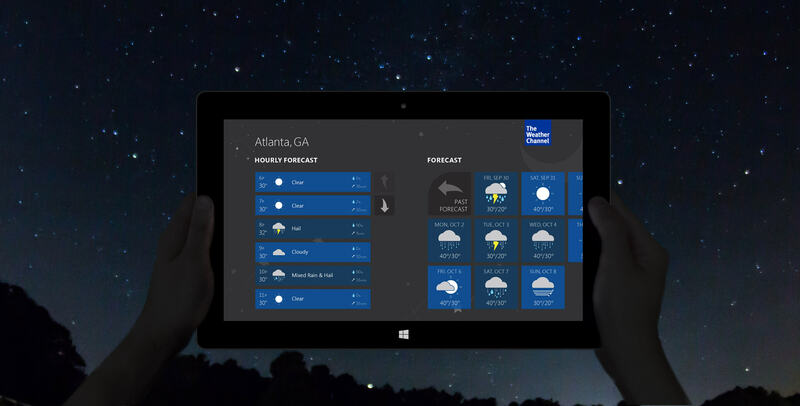 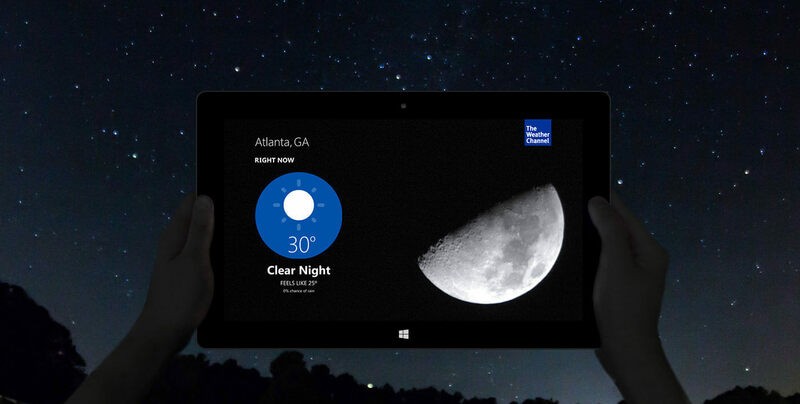 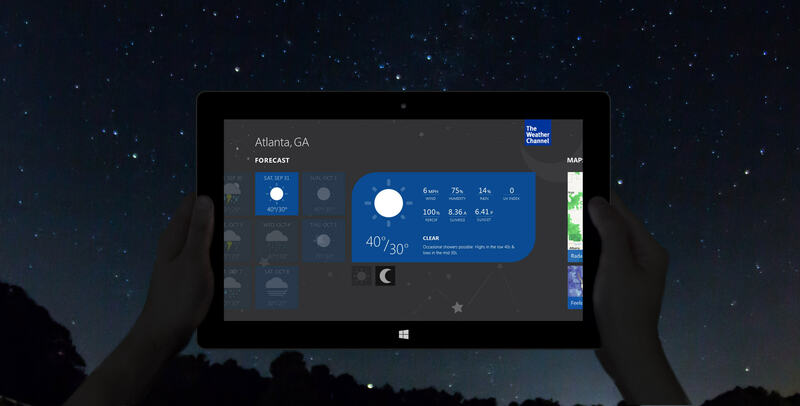 With The Weather Channel’s refreshed visual brand identity, a fresh look and improved interface were introduced to its Windows app in 2012. 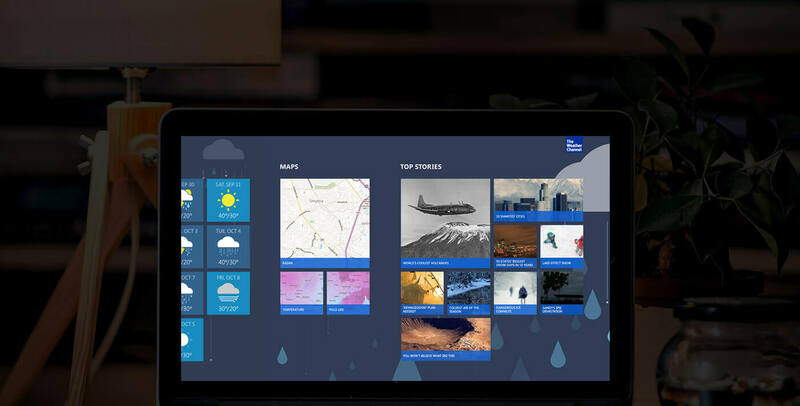 The improvements include easily-consumable rich weather data, current weather conditions storytelling through photography, color, and icons within a minimal interface, relevant breaking news during severe weather conditions, and localized lifestyle photography.